Find the best Back-Roads Touring Europe trips. TourRadar offers 41 tours from Europe through 29 countries. The tours span across 4 day to 12 day itinerary with prices ranging between $196 to $587 per day. "Good pace. Exactly what we where looking for in a tour." 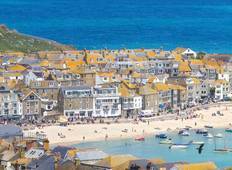 "We absolutely loved our Corners of Cornwall back roads tour. Everyone was friendly,..."
"Explained battles very effectively. Provlfded helpful advice." "This was a very good and very thorough itinerary. The guide and driver were excellent,..."
"Excellent tour. Fantastic tour guide in David Longmire. His knowledge and personal..."
"Tour bus was uncomfortable not enough leg room. 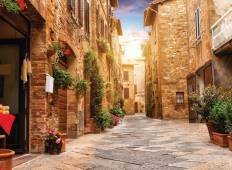 Hotels were average except for the..."
"We completed a Back Roads tour of London to Paris via The Channel Islands in July..."
"Tuscan Treats & the Cinque Terre - awesome tour - great Company. Tour guide and Bus..."
"I did the Corners of Cornwall tour with Matt in 2015. He was brilliant. Personable,..."